Indoor plumbing and similar amenities we take for granted but are not available to many people in the world. Despite my stress and how hard chores feel, I have it easy compared to so many and should always be grateful. I think about Syria, Libya, Afghanistan, Iraq, India, Egypt right now in particular. Life has been stressful. Money, custody, divorce, marriage, jobs, moving, chores, broken vehicles, etc. Are some of the things I have to deal with in my life right now. Reflecting on the things for which I am grateful helps me gain necessary perspective and think more optimistically. I have a very good life and I am thankful for it and for all the people who are a positive part of my life. I have several friends who make a practice of stating 3 things they are grateful each day, and I love that practice! I would encourage anyone who is feeling low to try this. It helps me a lot and seems like a healthy thing to do. 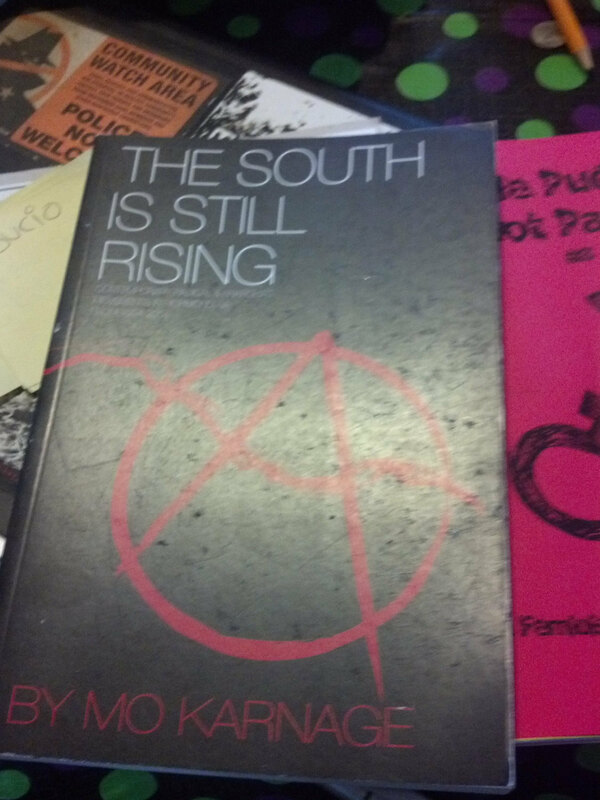 The South is Still Rising Book for sale! ​Failing to understand the history of social movements and places hinders current social movements. Knowing history can prevent the same mistakes from being made and prevent people from reinventing the wheel. My book on a decade of Richmond radical activism is still available for sale. $10 in person! A new type of Southern Pride. A history that includes the resistance to racism, sexism, capitalism, and more!